If we know who we are in Christ we are well on our way to victory. However, if we fail to recognize our true enemy, then we might gain some victories, yet suffer many defeats. This is where I believe many in the Christian community are at this particular moment in time. They know to whom they belong, yet they do not know to whom they must wage war. These unfortunate brothers and sisters in Christ continue to believe that people, objects, or ideas are their enemies. Rest assured, they are not the enemy but mere pawns being used, manipulated, and controlled by the true enemy. Who is this enemy? He is a puppet master of sorts, better known as Satan, Lucifer, or Beelzebub. 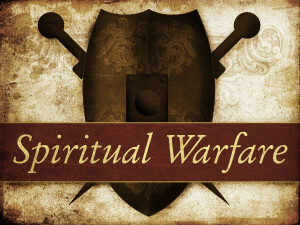 Having learned the art of war, he knows that by keeping the men and women of God confused as to his true identity, he may suffer some blows, but not without reaping the rewards of seeing many defeats from those he himself calls his enemies. Yes, our constitution is being ripped out from underneath us at this very moment and our rights are being eroded at every turn. Yes, we must fight! But at what expense if we are not willing to take our fight to our true opponent? First, cut the legs out from under the puppet master and, in turn, all control over the puppets will be lost. How do we do that? We win through prayer; prayer to the Living God. How do we pray? We pray, not against the darkness, but for the light of God to shine forth. Only the Light can dispel the darkness. Be blessed. ‹ Knowledge shall be Increased! Praying for God to bless our enemies changes and strengthens us even when our enemies don’t appear to be affected through our prayers. The battle-field is within and we contribute best to repairing our nation by drawing close to God. In regard to our rights, I think we all need to consider if we are willing to die for them. That is very different from getting angry and fighting for them. Thanks…I have to be careful about my bluntness sometimes. Well, I didn’t notice that. :0) Thank you for following my blog. It’s late…”I” enjoy…pray for me! sigh….